It didn't take long for the NBA's offseason drama to begin. While the Cleveland Cavaliers were being toasted by over a million fans during their championship parade days after the NBA Finals concluded, the New York Knicks and Chicago Bulls struck a deal that shook the league. According to multiple reports, the two teams have agreed to a deal that will land point guard Derrick Rose in the Big Apple. The Bulls will also send Justin Holiday and a second-round pick in the 2017 draft for the Knicks' Robin Lopez, Jose Calderon, and Jerian Grant. 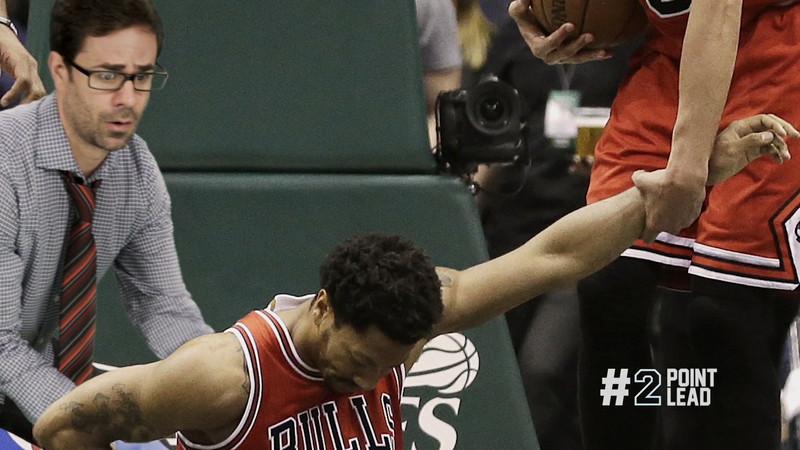 Rose's promising career has been derailed by knee injuries in his last few seasons. The flashy point guard enjoyed a stellar 2015–16 campaign, which was the first time the 27-year-old played over 60 games since he won the MVP award in 2011. Grant, 23, was a first-round pick in last year's draft. Lopez, 28, is in the second-year of a four-year contract, while Calderon, 34, is in the final year of his deal.